Jay Jensen was born on July 29, 1931, in Sandy, Utah. He enlisted in the Utah Air National Guard on November 27, 1950, and served on active duty from April 1951 to October 1952. Jensen remained in the Utah ANG until August 1955, and during this time he attended Brigham Young University, where he graduated with a Bachelor's Degree in Accounting in 1955. Jensen was commissioned through the Air Force ROTC program as a 2d Lt on April 18, 1956, and went on active duty on May 12, 1956. He completed Undergraduate Navigator Training at Harlingen AFB, Texas, in May 1958, and then completed Electronic Warfare Officer School at Keesler AFB, Mississippi, in March 1959. His first assignment was as an RB-66C Destroyer Electronic Warfare Officer with the 11th Tactical Reconnaissance Squadron of the 67th Tactical Reconnaissance Wing at Yakota AB, Japan, where he served from March 1959 to April 1960. Jensen then transferred to the 4677th Defense Systems Evaluation Squadron at Hill AFB, Utah, where he flew aboard B-57 Canberra's from April 1960 to November 1963. He was then assigned to the 31st Air Division at Oklahoma City AFS, Oklahoma, from November 1963 to April 1966, before going through F-105 Wild Weasel Training at Nellis AFB, Nevada. Jensen began flying combat missions in Southeast Asia in January 1967 with the 13th Tactical Fighter Squadron at Korat Royal Thai AFB, Thailand, and he was forced to eject over North Vietnam while flying his 13th combat mission on February 18, 1967. After spending 2,193 days in captivity, he was released during Operation Homecoming on February 18, 1973. Maj Jensen was briefly hospitalized at March AFB, California, and then began an Air Force Institute of Technology assignment at Brigham Young University in August 1973. 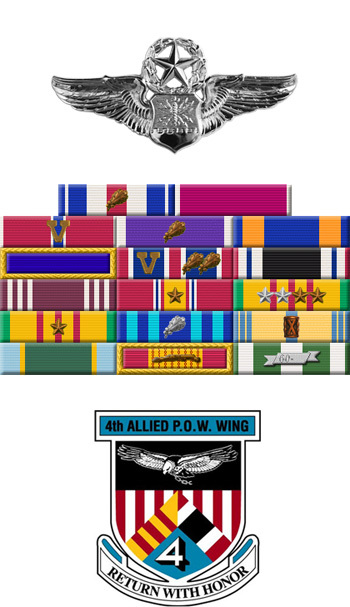 He completed his Master's Degree in August 1975 and then served with the 4392nd Civil Engineering Squadron at Vandenberg AFB, California, until his retirement from the Air Force on September 1, 1978. Col Jay Jensen died on May 29, 1998, only a few days after attending the 25th Anniversary of Homecoming reunion in Dallas, Texas. He is buried at Mountain View Memorial Estates in Salt Lake City, Utah. 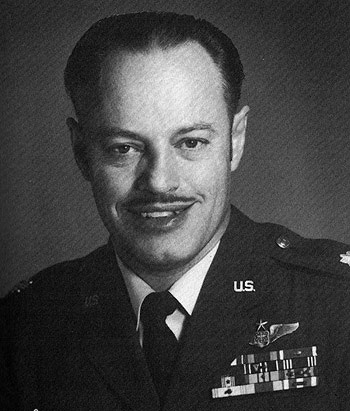 Captain Jay R. Jensen distinguished himself by gallantry in connection with military operations against an opposing armed force as an F-105 Electronics Warfare Officer near Vinh, North Vietnam on 18 February 1967. On that date, while under intense and accurate fire from unfriendly forces, Captain Jensen demonstrated courage, undaunted determination, and superior skill in pressing home devastating air attacks against hostile positions. Persevering in the face of danger, he relentlessly and effectively aided in neutralizing the hostile forces. By his gallantry and devotion to duty, Captain Jensen has reflected great credit upon himself and the United States Air Force.